On 1 October, the International Day for Older Persons, campaigners around the world will be taking a stand against ageism. Older people have told us of the ageist attitudes and behaviour they face on a daily basis. They tell us they feel humiliated, invisible, unnecessary and devalued. They tell us the concept of ageism does not exist. From our conversations with older activists, one of the first things we found was that “ageism” does not always translate into other languages. But more importantly, prevailing prejudices and stereotypes in society mean older people’s attitudes towards ageing are bottled up, and they are rarely given space to speak about their own experiences about growing older and how they are treated because of their age. Age Demands Action (ADA), a campaigning platform for older people, helps to challenge assumptions and prejudices and supports campaigners to push for policy changes to better improve their lives. Every year older campaigners around the world organise campaigns and events to bring greater awareness to the issues that are important to them. This year, for ADA Global on 1 October, older campaigners will be highlighting how ageism manifests across the world and leads to the discrimination, stereotyping and abuse of older people everywhere. Stereotyping people because of their age is unacceptable. We want this to change. A core focus of the activities will be to encourage campaign partners to start a conversation around ageism and to discuss with older people what ageism means to them and how they experience it. We hope that if they start to question ageism, people will begin to take action against age-based discrimination. This won’t be just one moment to take a stand against ageism. It is the start of an exciting new global campaign to fight for a world without ageism. Population ageing is a demographic reality that many governments and international organisations are responding to around the globe, and the concept of ‘ageism’ is beginning to gain traction. 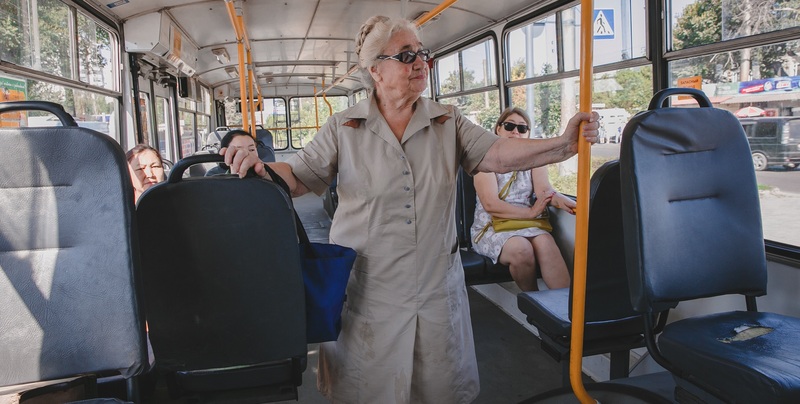 The many common negative perceptions and assumptions about older people are among the biggest challenges to developing an effective response to population ageing, according to the World Health Organization’s influential study on ageing and health launched last year. The report describes how “socially ingrained ageism can become self-fulfilling by promoting in older people stereotypes of social isolation, physical and cognitive decline, lack of physical activity and economic burden”. At the 69th World Health Assembly in May a resolution sponsored by 17 member states called for a global campaign to combat ageism. “In Ethiopia there are proverbs about older people that say we don’t have any value. I don’t accept that. Ageism is often hidden and impacts people’s lives in a negative way. We shouldn’t accept the negative things people say about older people. We will be sharing Tilahun and other people’s stories about how they have been discriminated against because of their age. This will include a short film looking at ageist proverbs from different countries across the world. And there will be lots of other materials you can use in your own campaigning. We always say our network is what gives us impact, legitimacy and strength. We believe if we work together as a network and with others to combat ageism, we will have greater success. Take a look at our ADA Global campaign toolkit to see how you can get involved. Within the toolkit are suggested activities, including advice on how to run a consciousness-raising workshop or role-play workshop. Consciousness-raising is a tool to unpack social perceptions and prejudices and allows for participants to draw on personal experiences with others. Role-play workshops, meanwhile, allow participants to play out various ageist scenarios and discuss how age discrimination in different situations impacts their lives. Exploring social issues through acting allows people to share stories and find solutions. We hope the guides we’ve put together will encourage you to hold workshops of your own. We will also be sharing a social media toolkit and assets so you can take action online. Everything you need will be on the ADA Global webpage and you can also access here on Box, where everything will be uploaded on 7 September. Why must we challenge ageism? Ageism is all around us. All older people are different, but ageism assumes that growing older is the same experience for everyone. We must question ageism and how older people are often stereotyped in a certain way because of their age. We live in a world where older people’s rights are denied. This must change! Let’s begin to appreciate our diversity throughout our whole lives, including in later life.